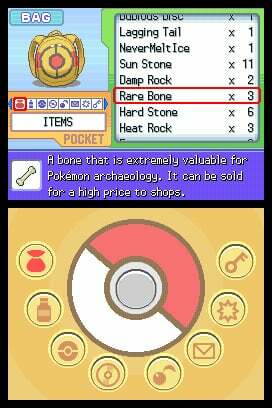 In the Sinnoh region, there are two Pokémon that symbolize the region. They appear in the Sinnoh region's myths and old folklore. 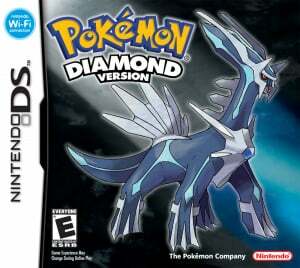 One is called Dialga, and is said to have the power to control time. 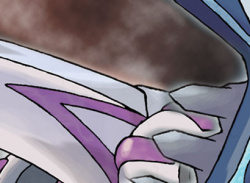 The other is called Palkia, who is said to have the ability to distort space. The sinister organization called Team Galactic is trying to rule the region by using the power of these two Pokémon. 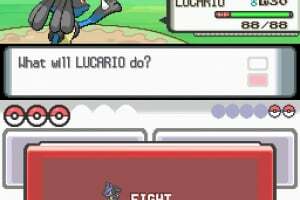 During the adventure to complete the Pokédex and become the Pokémon League Champion, these two Pokémon, and Team Galactic, will intertwine into the story and lead players on a fantastic journey across the Sinnoh region. Characters: More than 100 new Pokémon make their debut in Pokémon Diamond and Pokémon Pearl. 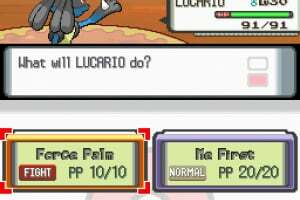 Many are new, and some are even evolutions and pre-evolutions of characters from past games. 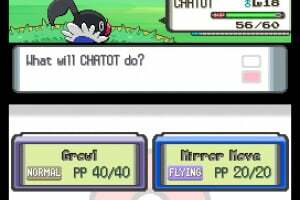 The player can choose to be a boy or girl trainer. There are eight new Gym Leaders, as well as a new Professor and a new rival. Team Galactic takes the role of the new villains this time around. 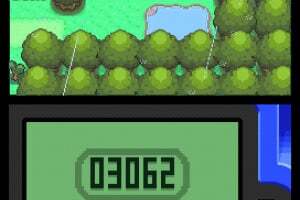 How to progress through the game: Players start out as an aspiring Pokémon Trainer (either a boy or a girl) and aim to become the Pokémon Champion. 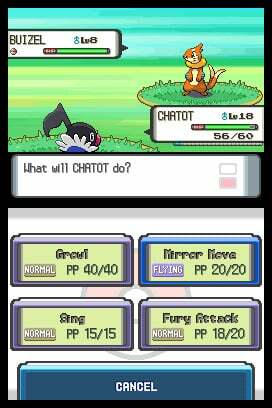 They choose from one of the three starter Pokémon. As they journey through the Sinnoh region, they will catch and level up Pokémon and battle with other Trainers and Gym Leaders to make their way to the top. The story unfolds as the player goes from town to town, across towering mountains, through muddy swamps and deep into caves beneath the earth. Collect, Train and Battle with More Than 100 New Pokémon: For the first time, players have the chance to catch new Pokémon Munchlax™, Weavile™, Lucario™, Mime Jr.™, Bonsly™ and many others. 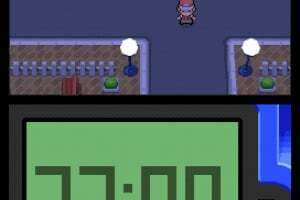 New Region: Set in an entirely new region called Sinnoh, the Sinnoh Pokédex has 151 Pokémon total - some old and more than 80 new. This means the National Pokédex could now have more than 480 Pokémon. 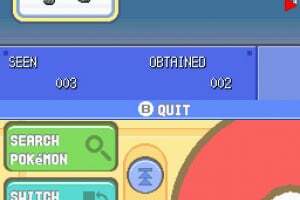 Overall there are over 100 new Pokémon, even some that aren't in the Sinnoh Pokédex! How do you find them all? 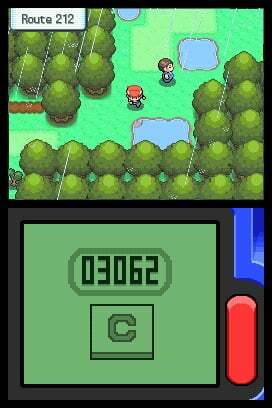 3-D World: The game now has a 3-D look to the environments, making the world of Pokémon jump off the screen like never before. Worldwide Battles/Trading Using Nintendo® Wi-Fi Connection: Once Friend Codes have been registered, two players can then battle and trade while talking. 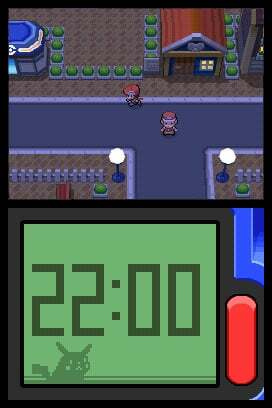 Night and Day: Using the DS clock function, the game transitions from morning, day and night in real time. Intense Battles: Many new dual-type Pokémon, new and refined moves and new special Abilities add to the already deep strategy of Pokémon battling. 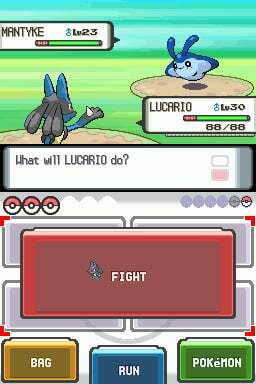 Bring Pokémon from GBA: Players can bring Pokémon from their Game Boy® Advance Pokémon games to Pokémon Diamond and Pokémon Pearl using the GBA game slot on their Nintendo DS. 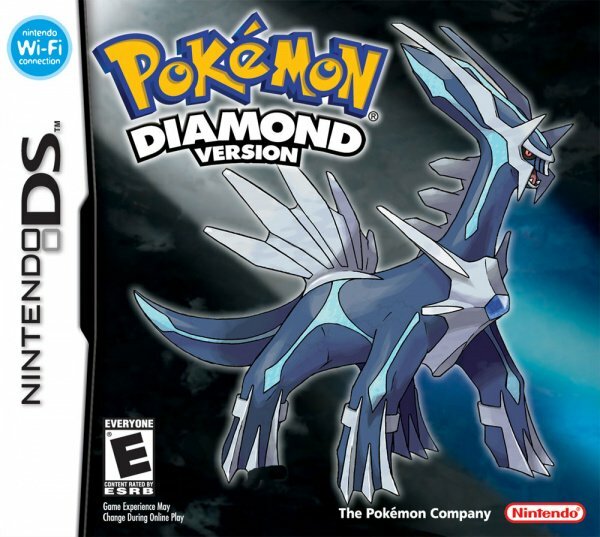 Pokemon Diamond Was The First Pokemon Game I Played. And I Have Loved It Ever Since I Got It. I really like this game and the fact that there is contest hall, but it feels to short. 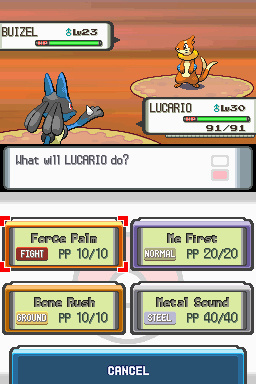 I had done the elite four in a week and now I moved on from the battle tower and It's boring now. 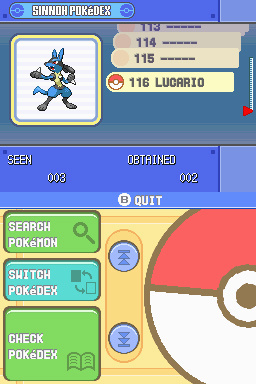 I pretty much only get on it to check the swarms from the girls in sandgem and the guy who likes to see pokemon of certain levels. Im excited for heartgold/soulsilver but are they going to be the same? 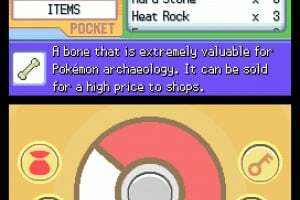 Their needs to be one big pokemon game My Pokemon Advneture With all regions and stuff. Yes! 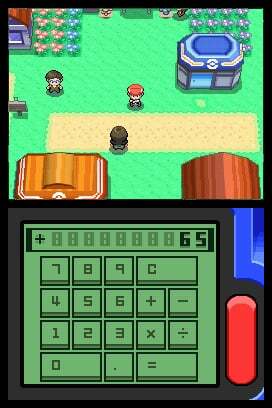 Defeated Cynthia & Elite 4. 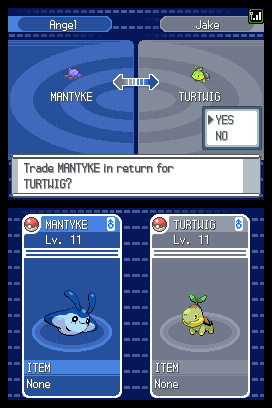 I Thank My Manaphy For All He Did. this is the only pkmn I have, and the only one I will have for atleast 2 more months.